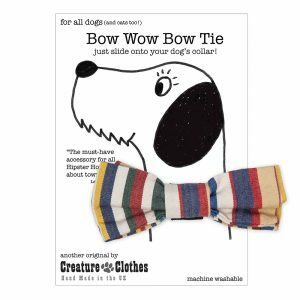 Strong elasticated back to slide the bow tie on to the collar. 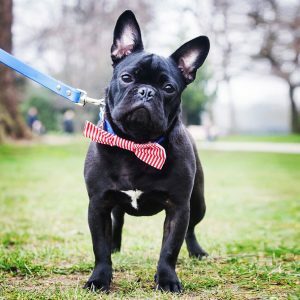 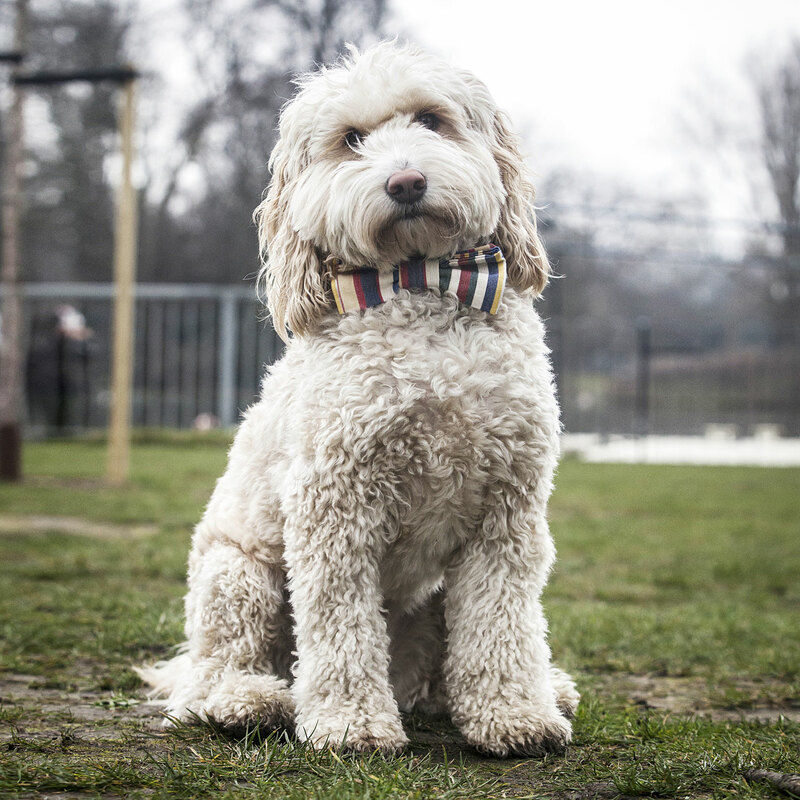 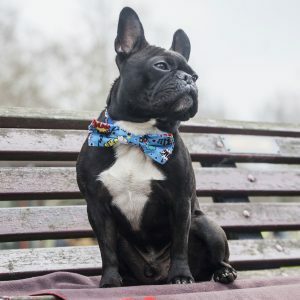 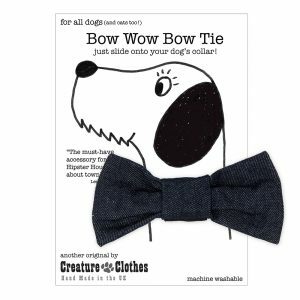 An essential item for all dogs about town, our bow tie has a strong, wide elastic back to hold the bow tie in place. 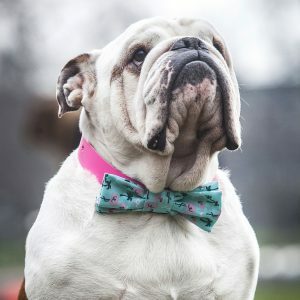 Simply slide the bow tie onto your dogs existing collar!